D ata Recovery Lab is is among the first few data recovery companies established in 2002 and employs the best and the most experienced data recovery specialists with a mission of providing the highest quality data recovery services to private and corporate customers. 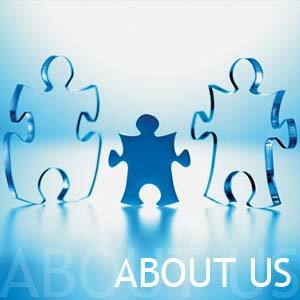 This includes a very large number of IT companies who outsource they data recovery service. Data Recovery Lab has invested in the best data recovery specialists and the most advanced data recovery technologies over the past 10 years. We are proud of our record as one of the best and the most successful data recovery company in the UK and have some of the most high profile corporate customers such as the BBC, ITV, Al Jazeera, BP, Tesco among our clients. A: Data Recovery Lab is an established business that provides data recovery services to business users and private customers throughout the UK. The company, which is based in London, UK, was founded in 2001. The founders of the Data Recovery Lab have been in the business of data storage, data retrieval and data recovery systems since 1993. Q: WHAT AREAS DOES DATA RECOVERY LAB COVER? A: Data Recovery Lab provides UK wide data recovery services for England, Scotland, Northern Ireland and Wales; European wide data recovery services for Republic Of Ireland, Germany, France, Denmark, Belgium, Luxembourg, Italy, Spain, Switzerland, Iceland, Finland, data recovery services; Middle Eastern data recovery services for Israel, Egypt, Lebanon, UAE, Abu Dhabi, Dubai, Sharajah, Jordan. All non-UK areas are served by UPS Express.